The Cardiac Fitness Center is open to cardiac patients, seniors, teens and adults in the community. 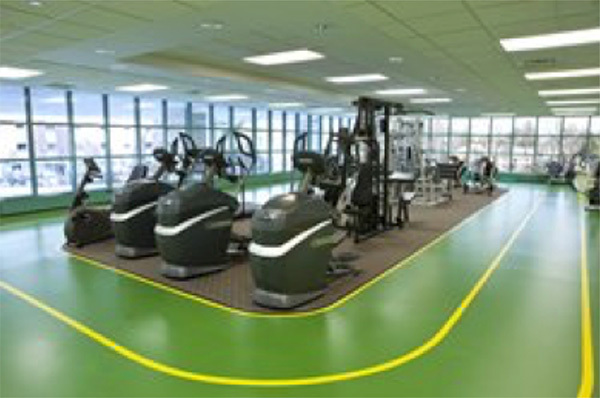 Our 5,000 square-foot facility offers the safety and expertise of medical supervision and features a hospital-based indoor walking track in the area. A variety of health and fitness programs are offered at the center and its Cardiac Rehabilitation Program is certified by the American Association of Cardiovascular and Pulmonary Rehabilitation. Established in 1972, one of the benefits of choosing the Mountainside Medical Center Cardiac Fitness Center is its experienced staff that includes a cardiologist, registered nurses, exercise physiologists and registered dieticians. Members receive personalized instruction and have access to a variety of cardiovascular and strength training machines - exercise bicycles, elliptical machines, treadmills and more – as well as male and female locker rooms with shower facilities and free valet parking. A supervised exercise program suited to those who want to lose weight, learn to exercise properly and stay healthy. It’s personalized based upon your needs and helps in reducing high blood pressure, lowering cholesterol, controlling diabetes and weight reduction. The community exercise program is also available to bariatric patients. The Cardiology Department at Mountainside Medical Center works with our Volunteer Services team to offer community programs, education about exercise, diet, and living a healthy lifestyle. For more information about our programs, click here to email our Cardiac Rehabilitation staff or call 973-429-6199.